It’s placed in the grounds of the former “Campo de Marte” – Martyrs Field – used for the military parades since the XVIII century. 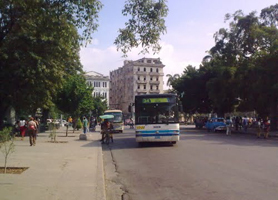 After 1928 it was transformed into the American Fraternity Park during the Pan-American Congress held in the city of Havana on that same year. 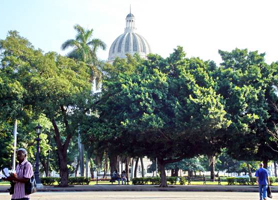 A ceiba tree was planted in the center of the park using ground from all the countries of the American Continent. The bust represents the most relevant characters of our regional history.